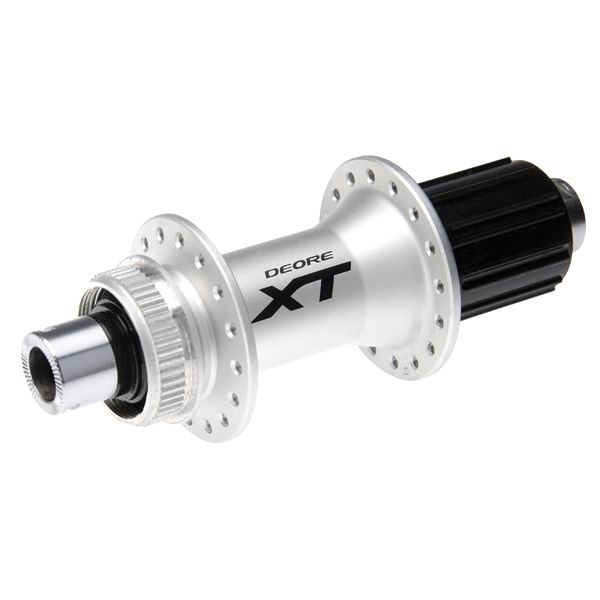 Product information "Shimano XT 788 CL disc HR 12x142mm centerlock silver"
Shimano's XT M788 hub with 12x142mm thru-axle standard is the weapon of choice for cross country and trail riders. The XT 788 hub uses a center-lock disc brake rotor mount. Bearings in the Shimano Deore XT M788 have double contact sealing and super polished bearing races for low friction rolling. For extra stiffness, Shimano uses a 12x142mm thru-axle.Shimano freehub body features lightning fast engagement and compatible with 8,9 and 10 speed Shimano and SRAM. Related links to "Shimano XT 788 CL disc HR 12x142mm centerlock silver"
Customer evaluation for "Shimano XT 788 CL disc HR 12x142mm centerlock silver"